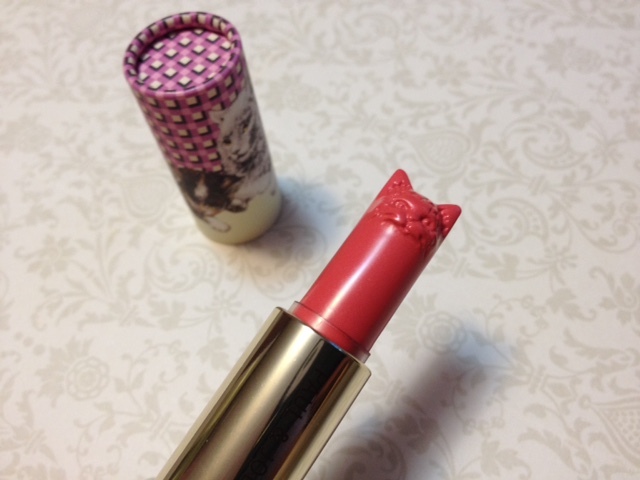 As a cat lover and makeup enthusiast I always enjoy makeup products that feature a kitty theme – the quirkier the better! 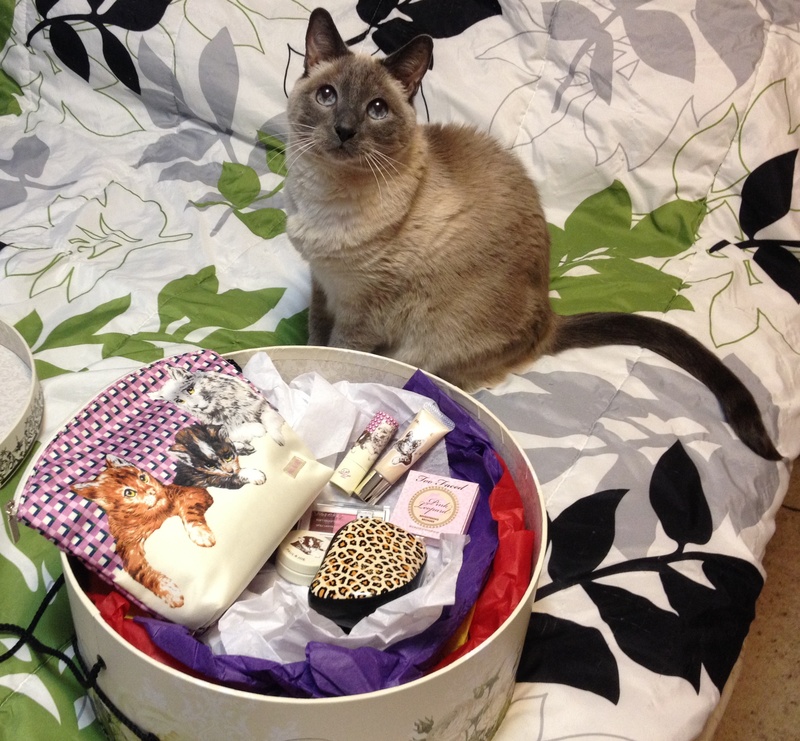 Here’s a small selection of my favorite makeup and beauty products that offer the right amount of cattitude. 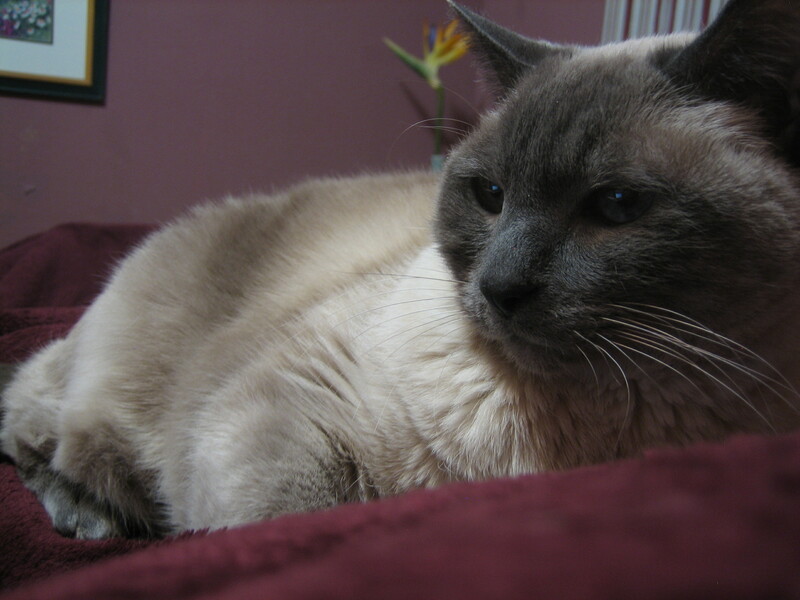 All approved by my beloved beautiful Lily Belle (may she rest in peace). Ok, this is for the crazy cat ladies out there. 1. Beautiful cat print makeup bag from Paul & Joe that is part of a cat-themed set “Eye & Cheek Color Set 001 Sugar & Spice”. (Used to be available on BeautyBay.com for $64.90 but is sold out since it’s limited edition). 2. Cheek Color Stick by Paul & Joe (here in a rich coral hue). I can’t get myself to wear it or even swatch it. It’s too beautiful. 3. Eye Gloss by Paul & Joe (for some shimmer on the lids, I also use it as highlight sometimes but only sparingly). 4. 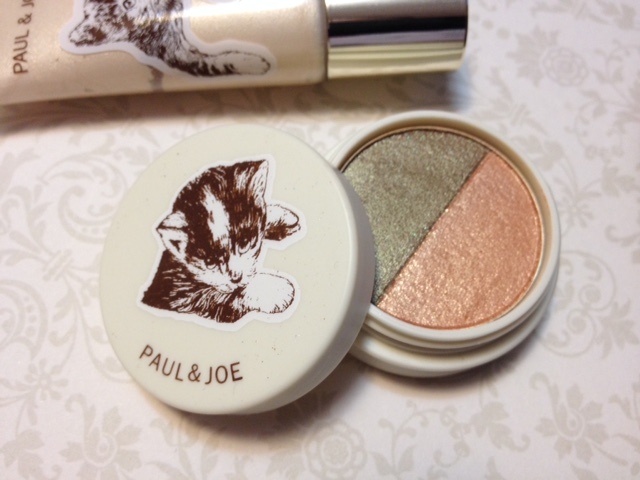 Eye Color Duo by Paul & Joe (cream eyeshadow in gold and khaki). 5. 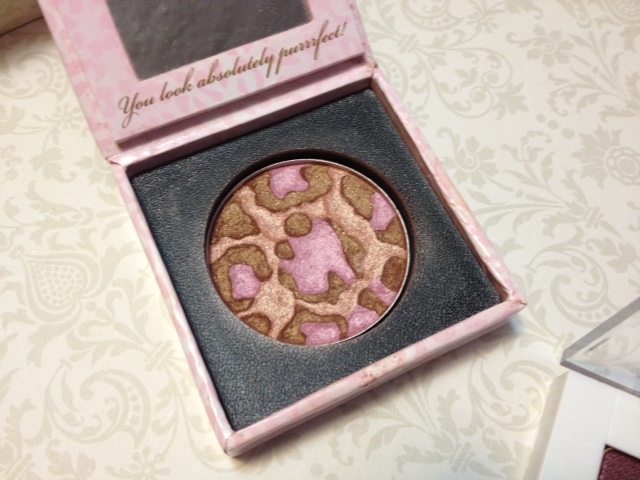 Too Faced “Pink Leopard Brightening Bronzer” (a mix of gilded pink, golden bronze and fawn shades that create a perfect illuminating bronze flush). This is a small travel size. The regular size is still widely available and costs around $30. 6. 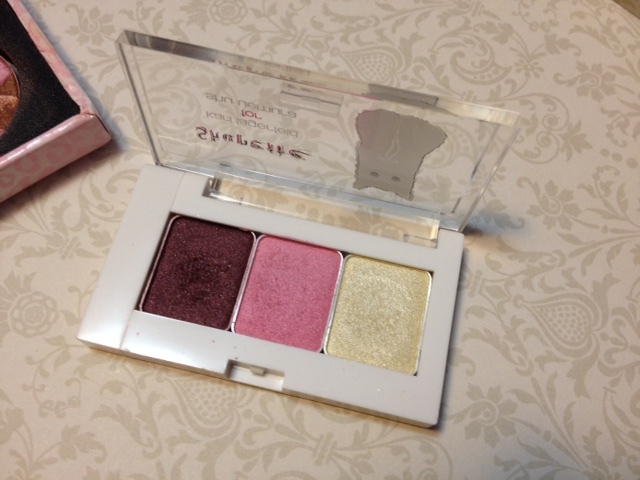 Eyeshadow trio by Shu Uemura. “Shupette eye-need-shu trio 02”. Part of the Karl Lagerfeld makeup collection featuring Karl’s kitty Shupette. Regular price is $35, currently on sale for $24.50 on Shu Uemura’s US website! Fantastic pigmentation and silky texture, all shimmery and/or glittery. 7. 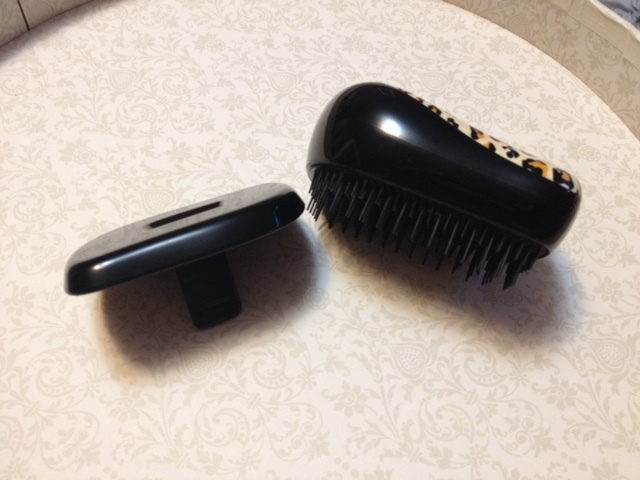 Leopard-themed tangle teezer “Feline Groovy”. Works like a charm on damp hair, although I have to admit I bought it mainly for the cute design. I bought it for roughly $20 at my local Sephora which is overpriced in my opinion. You can get it cheaper online. I know it’s difficult to get limited edition products and you really have to be a collector to justify paying higher prices for these items. But don’t fret – Paul & Joe have come out with more than just one kitty collection and it certainly won’t be their last. Other makeup brands have too – think of Too Faced Cat Eye kit. Please do share your favorite kitty-themed makeup and beauty products if you have some.